The top is this ball carries a relative big crystal which is surrounded by six smaller crystals. This ball is therefore not ideal for tonguepiercings because these crystals might get loose when exposed to continuous friction. 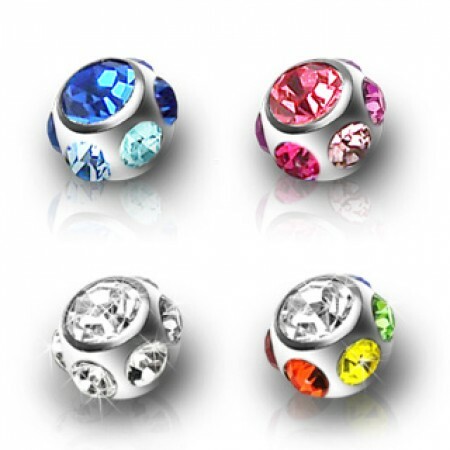 They are further perfectly suited to replace lost balls or to create your own piercing with.